GUANGZHOU, China-- Sep 19th ,2018-- ZWSOFT, an innovative supplier of CAD/CAM solutions and service provider, today announced the launch of an advanced 3D CAD viewer, CADbro 2018 SP2, the best assistant to raise the efficiency of development and production collaboration. Packed with 3D & 2D viewing, measuring, mark-up and other investigative & analyzing functions, CADbro makes it possible for everyone to access engineering & manufacturing data and collaborate in the absence of a 3D CAD/CAM platform, greatly cutting the cost of product development and shortening the time-to-market. 3D CAD Viewers can open 25+ kinds of 3D & 2D CAD files, like CATIA, NX, Creo, Solidworks, and save them as lightweight & neutral formats, like PDF, HTML, for sharing with internal & external teams. In this case, gaining insights from engineering data without the expertise in CAD software, CAD professionals can effectively communicate design feedbacks and change requests, while non-professionals can quickly conduct business or marketing activities concurrently, like easy quotation etc. Mold Supervisor can use easy analysis functions, like region, thickness analysis, undercut analysis, and so on. They enable manufacturing departments to check the availability of mold, reducing human error & negligence and ensuring the accuracy of machining. 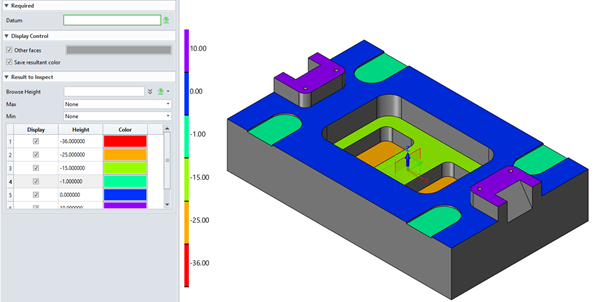 Manufacturing taskmasters can add PMI or annotation into manufacturing guide within height analysis result, which is a new function in CADbro SP2. Plus, benefiting from more comfortable dimension and measure display in HTML output file, designers can make clearer follow up and avoid misunderstanding and miscalculation. "CADbro 2018 SP2 supports online updates without complete reinstallation. From CAD design, mold to manufacturing, it enables cooperative work between different departments, saving cost on more complex and expensive CAD software," said Colin Lin, Director of CADbro Overseas Business.